Awards-season movies start arriving next week, but the end of September finds a cabinet-cleaning of animated musical, low-budget horror and a contemporary adaptation of a beloved classic. Smallfoot offers a surprising challenge to fear-based religious dogma in a cheery animated package. The music biopic Blaze offers a uniquely vital take on an "underappreciated genius" story. The service-animal documentary Pick of the Litter shares a story with more depth than just adorable doggos. 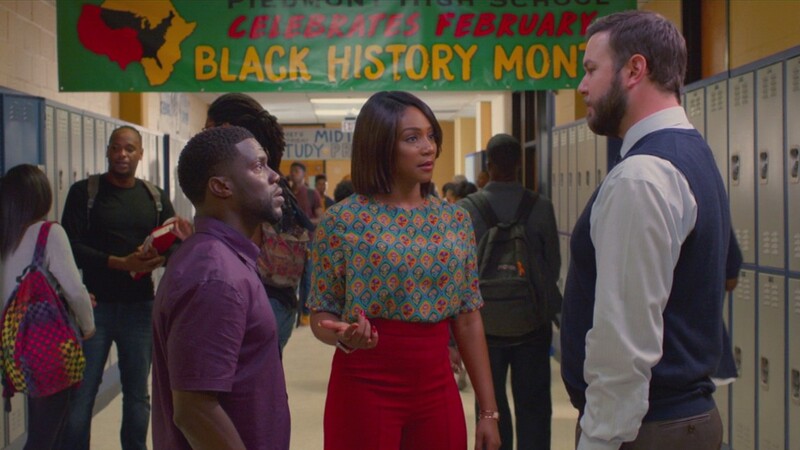 David Riedel laments the pieced-together script for Night School (pictured) which relegates Tiffany Haddish to the role of straight man. MaryAnn Johanson finds the modern-day re-telling of Little Women stilted and passionless. Eric D. Snider nods to the moderately effective scares of the slasher-at-an-amusement-park thriller Hell Fest. In this week's feature review, MaryAnn Johanson appreciates the central character of The Children Act, but wonders what, exactly, the movie is supposed to be about.